LG has officially announced the arrival of the LG Optimus One and Optimus Chic, both of which come packing Google Android 2.2. The products were shown off at a press conference in Seoul, where LG's head of mobile Skott Ahn announced that LG's expectations for the Optimus One and Chic is that they "should sell more than 10 million devices". TechRadar is no stranger to the two phones - we first got wind of them back in July. We did hear murmurs that the Chic would not be heading to the UK, but this now doesn't seem to be the case. The two smartphones have Froyo on board, which essentially means Google Voice Actions, Google Voice Search and Google Goggles are all compatible with the devices. The two smartphones will also turn into portable Wi-Fi hotspots. 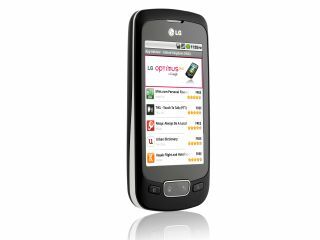 The LG Optimus One has a 3.2-inch wide HVGA screen, a long-life battery which can handle 450 minutes of talk time and the touchscreen is capacitive. It also houses a 3MP camera, microSD card slot (up to 32GB) and a 600MHz CPU. The Optimus Chic is for the style conscious and also has a 600MHz CPU, but can only handle 330 minutes of talk time. It does come with DLNA connectivity and LG Air Sync, and there's also a 3.2-inch HVGA capacitive touchscreen on board. Camera wise, there is a 5MP sensor inside, a MicorSD card slot (up to 32GB) and video recording at 30fps. The LG Optimus One has a UK release date of October, while the LG Optimus Chic's UK release date is in November. Information on carriers and the like is to be confirmed but we will let you know as soon as we get details.